Hello, I am Miss Young. I received the following email. It is a socalled "Advance Fee Fraud" letter, where I am offered a puppy. These stories are all lies, and if I respond, sooner or later I will be asked to pay a fee. If I pay, another fee will quickly come up, and it will continue that way until I give up or run out of money. I will never see the puppy, because it never existed. 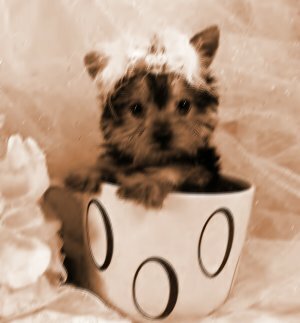 Subject: Tea Cup Female Yorkie Puppy For Adoption..